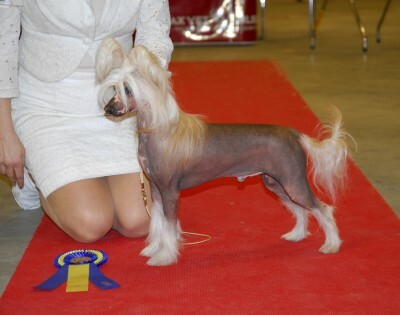 Xibalbas Paplotl -BEST IN SHOW-2 PUPPY out of ca 65 puppies in the final. An amazing result! 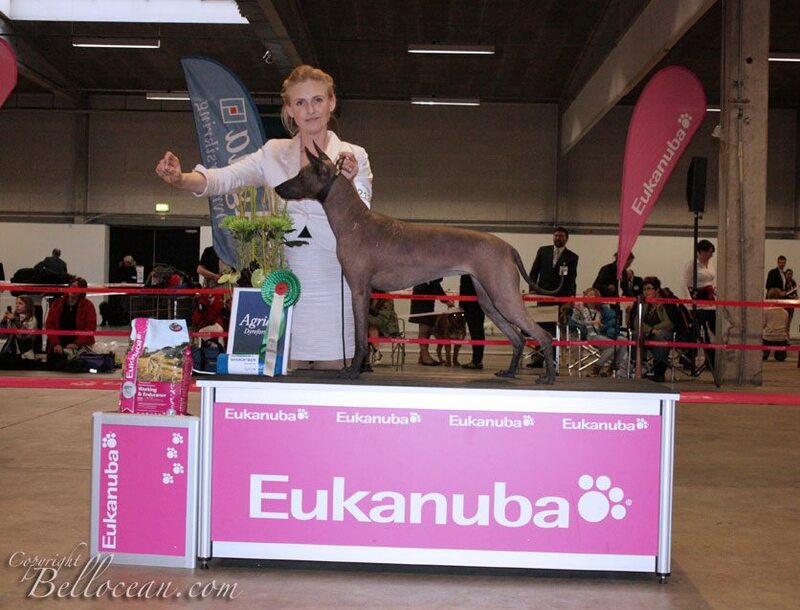 Krastotka Star First Fortune – Best Male-2, CACIB & CAC Nezaualcoyotl EoD – BOB with CACIB and was picked for short cut in the group final Yolochochitl EoD – BOS with CAC; CACIB & SWEDISH CHAMPION today!!! 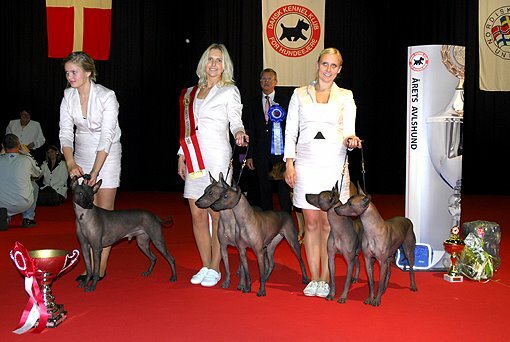 BEST IN SHOW-1 Progeny group – Tlacatl and his offsprings Yolochochitl EoD – BEST IN GROUP-4 & of course BOB, CACIB, CAC & DANISH CHAMPION today!! 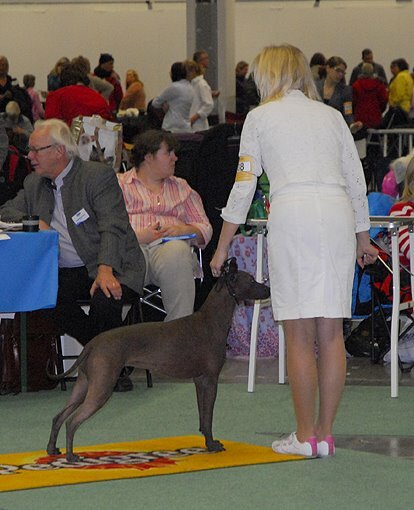 Krasotka Star First Fortune – WINNER OF GROUP 9 today, BEST IN SHOW-R & of course BOB, CAC & CACIB Judged under Hans van den Berg & Frank Kane – Thank you both! 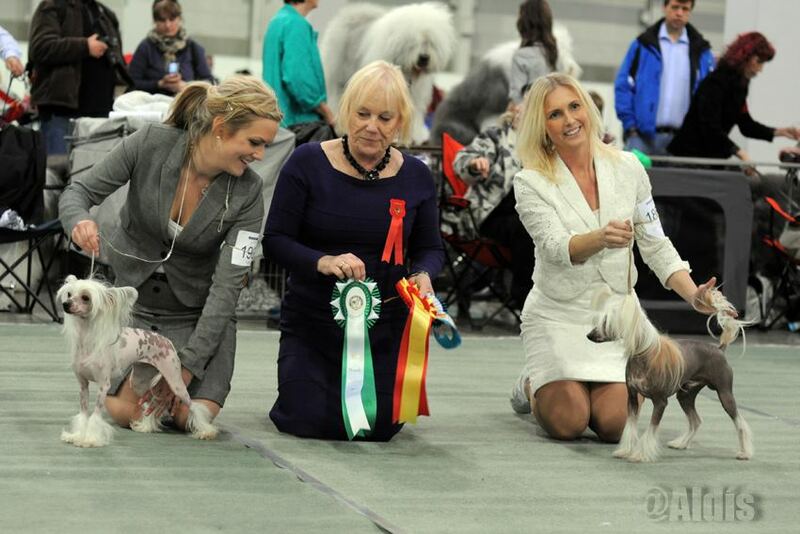 NEZAUALCOYOTL EoD – BOB, CACIB, CAC and FINNISH WINNER-11 YOLOCHOCHITL EoD – BOS, CACIB, CAC and FINNISH WINNER-11 Great result again! 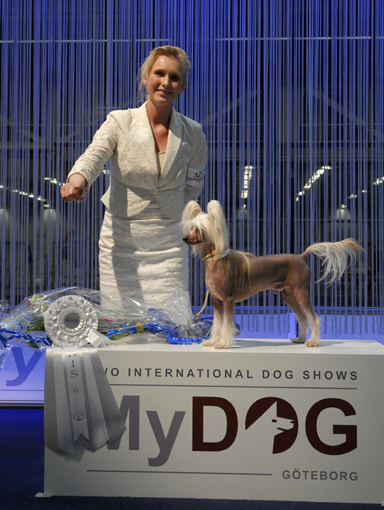 NORWEIGIAN WINNER SHOW 2011, BIS-2 PROGENY GROUP!! 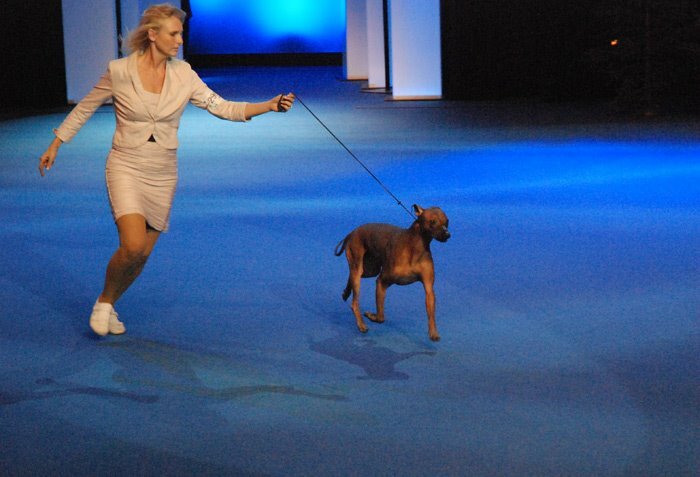 TLACATL -BREED DOG OF THE YEAR 2011 (all breeds) in Denmark 9 x BEST IN SHOW-1 – PROGENY GROUP 1x BEST IN SHOW-2 PROGENY GROUP 48 OF 50 POINTS IS AN AMAZING RESULT!!! !